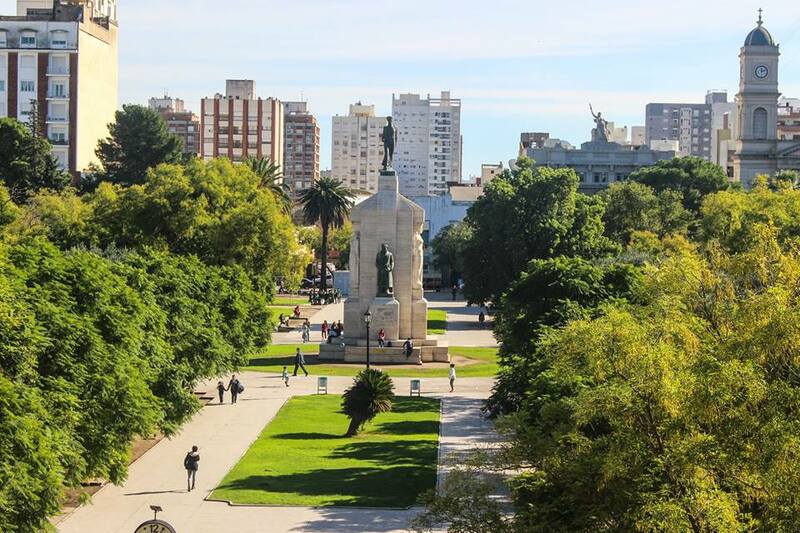 InicioDisfrutá Visitas guiadas: Un Centro Sorprendente! Visitas guiadas: Un Centro Sorprendente! 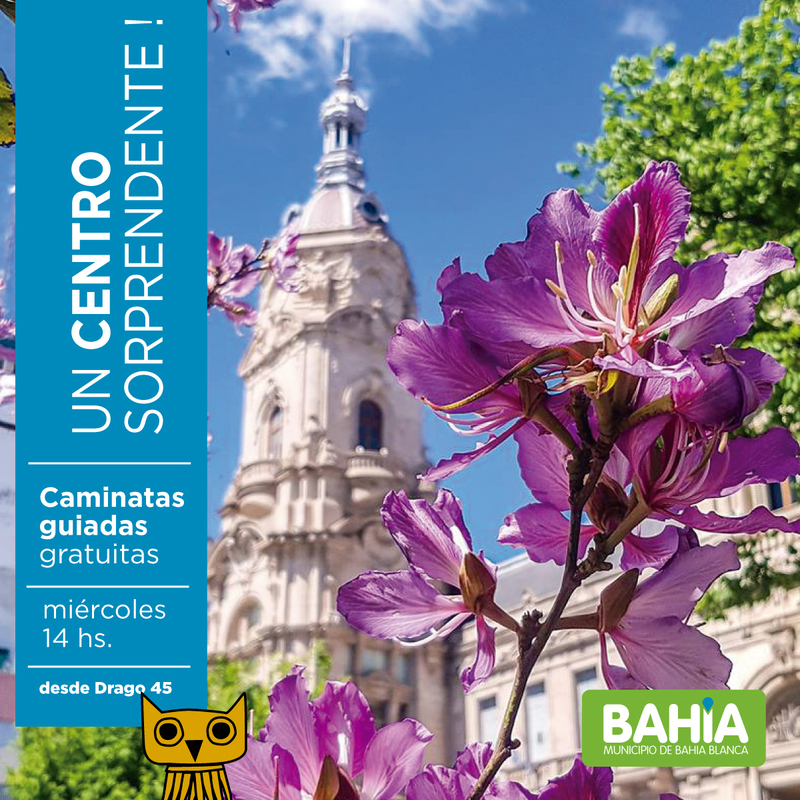 Visitas guiadas gratuitas en formato caminata por el Centro Histórico de Bahía Blanca. Descubrí una fortaleza invisible, espiá a antiguos dioses griegos subidos a las azoteas, y asombrate con cuantas cosas se pueden conocer en cinco cuadras! Woah! I’m really digging the template/theme of this site. It’s simple, yet effective. A lot of times it’s hard to get that “perfect balance” between user friendliness and visual appearance. I must say you’ve done a excellent job with this. Also, the blog loads super fast for me on Safari. Excellent Blog! You actually make it appear so easy together with your presentation but I in finding this topic to be really something that I feel I would by no means understand. It seems too complicated and extremely broad for me. I’m having a look forward for your subsequent put up, I will try to get the cling of it! Thank you for another fantastic post. Where else could anybody get that type of info in such an ideal way of writing? I have a presentation next week, and I’m on the look for such info. F*ckin¦ tremendous issues here. I am very satisfied to look your article. Thank you so much and i am looking ahead to contact you. Will you kindly drop me a mail? Thank you for another excellent article. The place else may anybody get that type of information in such a perfect way of writing? I have a presentation subsequent week, and I’m on the look for such information. Very interesting topic, regards for posting. “The season of failure is the best time for sowing the seeds of success.” by Paramahansa Yogananda. Some genuinely superb blog posts on this web site, thanks for contribution. Excellent read, I just passed this onto a friend who was doing some research on that. And he just bought me lunch since I found it for him smile Therefore let me rephrase that: Thank you for lunch! “Life is a continual upgrade.” by J. Mark Wallace. I conceive this web site contains very superb composed subject material blog posts. Great goods from you, man. I’ve understand your stuff previous to and you are just too great. I actually like what you’ve acquired here, certainly like what you’re saying and the way in which you say it. You make it enjoyable and you still take care of to keep it sensible. I can’t wait to read much more from you. This is really a terrific website. I have read some excellent stuff here. Certainly value bookmarking for revisiting. I wonder how so much attempt you set to create this type of great informative web site. Some really fantastic information, Glad I noticed this. “Sell your cleverness and buy bewilderment.” by Jalal ud-Din Rumi. Hi there, simply become aware of your blog thru Google, and located that it’s really informative. I’m going to watch out for brussels. I’ll be grateful should you proceed this in future. Numerous folks will likely be benefited from your writing. Cheers! You could certainly see your skills within the work you write. The sector hopes for even more passionate writers like you who aren’t afraid to say how they believe. All the time go after your heart. “We may pass violets looking for roses. We may pass contentment looking for victory.” by Bern Williams. Throughout this awesome scheme of things you get a B+ for effort. Where you misplaced us ended up being in all the details. You know, as the maxim goes, details make or break the argument.. And that could not be more correct at this point. Having said that, allow me say to you just what exactly did work. Your article (parts of it) is certainly pretty engaging and that is probably the reason why I am making an effort to comment. I do not make it a regular habit of doing that. Next, while I can see the jumps in reasoning you make, I am not convinced of how you appear to unite your ideas which inturn make the actual final result. For now I will yield to your issue however hope in the future you connect the dots much better. Great web site. A lot of useful info here. I’m sending it to several friends ans also sharing in delicious. And of course, thanks for your sweat! My husband and i felt absolutely satisfied Emmanuel could do his analysis because of the ideas he acquired using your web page. It’s not at all simplistic just to happen to be giving out facts which usually some other people may have been selling. And we take into account we need the website owner to appreciate for this. Most of the explanations you’ve made, the simple website navigation, the friendships you give support to foster – it’s got many spectacular, and it’s really making our son in addition to our family believe that the subject is awesome, which is pretty essential. Thanks for all the pieces! naturally like your website but you need to check the spelling on several of your posts. A number of them are rife with spelling issues and I find it very bothersome to inform the truth however I will surely come again again. It’s a shame you don’t have a donate button! I’d without a doubt donate to this excellent blog! I guess for now i’ll settle for book-marking and adding your RSS feed to my Google account. I look forward to new updates and will share this blog with my Facebook group. Chat soon! Throughout this grand design of things you’ll receive a B- for effort. Where you actually confused me personally ended up being in all the particulars. You know, people say, details make or break the argument.. And that couldn’t be more true in this article. Having said that, allow me say to you just what exactly did do the job. The writing can be incredibly powerful and this is possibly why I am taking an effort in order to opine. I do not make it a regular habit of doing that. 2nd, although I can certainly see a jumps in reasoning you come up with, I am definitely not sure of exactly how you appear to connect the details which in turn help to make the final result. For right now I shall yield to your issue however hope in the near future you link your facts better. This site can be a stroll-by way of for the entire data you needed about this and didn’t know who to ask. Glimpse here, and also you’ll positively uncover it. you are in reality a just right webmaster. The web site loading pace is incredible. It kind of feels that you are doing any unique trick. In addition, The contents are masterpiece. you’ve done a magnificent task in this topic! Very well written post. It will be helpful to anyone who usess it, as well as me. Keep doing what you are doing – can’r wait to read more posts. You completed several nice points there. I did a search on the subject matter and found most people will consent with your blog. I have to show appreciation to you for bailing me out of this particular dilemma. Just after exploring throughout the online world and getting proposals that were not helpful, I was thinking my entire life was gone. Existing minus the solutions to the difficulties you have sorted out all through this site is a critical case, and those which might have badly damaged my career if I had not encountered your blog. Your main capability and kindness in controlling almost everything was valuable. I don’t know what I would’ve done if I hadn’t discovered such a thing like this. It’s possible to at this time relish my future. Thanks so much for your skilled and results-oriented guide. I will not hesitate to endorse your web blog to anybody who needs assistance on this topic. Nice post. I used to be checking constantly this weblog and I’m impressed! Very useful information specially the remaining phase 🙂 I deal with such information much. I was seeking this certain information for a very lengthy time. Thank you and good luck. Howdy! I just would like to give an enormous thumbs up for the great information you’ve gotten here on this post. I might be coming back to your weblog for extra soon. I regard something truly interesting about your web blog so I saved to my bookmarks. I have been browsing on-line greater than three hours nowadays, yet I by no means found any interesting article like yours. It is beautiful worth enough for me. Personally, if all web owners and bloggers made good content material as you probably did, the web can be a lot more useful than ever before. That is the right blog for anyone who wants to seek out out about this topic. You understand so much its nearly exhausting to argue with you (not that I truly would need…HaHa). You definitely put a brand new spin on a subject thats been written about for years. Great stuff, just great! Very interesting subject, regards for putting up. “Not by age but by capacity is wisdom acquired.” by Titus Maccius Plautus. I have been surfing on-line greater than three hours today, but I never found any interesting article like yours. It’s pretty price sufficient for me. In my view, if all website owners and bloggers made good content material as you did, the net shall be much more helpful than ever before. I simply wanted to compose a simple message to appreciate you for these splendid ideas you are giving at this website. My extended internet look up has now been recognized with wonderful knowledge to write about with my great friends. I ‘d state that that most of us site visitors actually are definitely fortunate to live in a really good place with very many lovely professionals with very beneficial tips and hints. I feel really happy to have encountered the website and look forward to many more pleasurable times reading here. Thanks a lot once more for a lot of things. What i don’t understood is in fact how you are no longer actually much more well-liked than you might be now. You are so intelligent. You understand therefore significantly in the case of this topic, produced me personally consider it from a lot of various angles. Its like women and men aren’t interested except it is one thing to do with Woman gaga! Your individual stuffs outstanding. All the time care for it up! I will immediately take hold of your rss as I can not find your email subscription link or newsletter service. Do you have any? Kindly let me understand in order that I may subscribe. Thanks. It is in reality a great and helpful piece of info. I am glad that you simply shared this helpful information with us. Please stay us informed like this. Thank you for sharing. Hello There. I found your blog the usage of msn. That is a really smartly written article. I will be sure to bookmark it and come back to learn more of your helpful information. Thanks for the post. I’ll definitely return. Very nice post. I simply stumbled upon your blog and wanted to mention that I have truly enjoyed surfing around your weblog posts. In any case I will be subscribing for your feed and I hope you write again very soon! hey there and thank you for your information – I’ve certainly picked up anything new from right here. I did however expertise a few technical issues using this web site, since I experienced to reload the website many times previous to I could get it to load correctly. I had been wondering if your web hosting is OK? Not that I am complaining, but slow loading instances times will sometimes affect your placement in google and can damage your high quality score if advertising and marketing with Adwords. Well I am adding this RSS to my email and can look out for a lot more of your respective exciting content. Ensure that you update this again soon..
I’ve been exploring for a little bit for any high-quality articles or blog posts on this sort of house . Exploring in Yahoo I eventually stumbled upon this site. Studying this information So i’m glad to show that I’ve an incredibly excellent uncanny feeling I discovered exactly what I needed. I such a lot without a doubt will make certain to don’t overlook this website and provides it a glance regularly. Very interesting details you have remarked, thankyou for posting. “‘Tis an ill wind that blows no minds.” by Malaclypse the Younger. I’ve recently started a website, the information you offer on this website has helped me tremendously. Thanks for all of your time & work. “The very ink with which history is written is merely fluid prejudice.” by Mark Twain. Normally I do not learn post on blogs, but I would like to say that this write-up very compelled me to take a look at and do it! Your writing style has been surprised me. Thank you, very nice article. Hi my friend! I wish to say that this article is awesome, great written and come with approximately all significant infos. I’d like to look extra posts like this . It’s actually a great and useful piece of information. I’m happy that you simply shared this useful info with us. Please keep us informed like this. Thank you for sharing. You could certainly see your skills within the paintings you write. The sector hopes for even more passionate writers like you who aren’t afraid to say how they believe. All the time go after your heart. “Until you walk a mile in another man’s moccasins you can’t imagine the smell.” by Robert Byrne. Thanks for the auspicious writeup. It in reality was once a enjoyment account it. Glance complex to far introduced agreeable from you! However, how can we communicate? Thanks for the good writeup. It in reality used to be a leisure account it. Look complex to far added agreeable from you! By the way, how can we keep in touch? I am no longer certain where you are getting your info, however great topic. I needs to spend some time studying more or figuring out more. Thanks for fantastic information I was looking for this information for my mission. neuzxvqpg,Very helpful and best artical information Thanks For sharing. It is in point of fact a nice and helpful piece of info. I am satisfied that you shared this helpful information with us. Please stay us informed like this. Thank you for sharing. I’m usually to blogging and i really admire your content. The article has actually peaks my interest. I am going to bookmark your website and preserve checking for brand new information. zebaist,Thanks a lot for providing us with this recipe of Cranberry Brisket. I’ve been wanting to make this for a long time but I couldn’t find the right recipe. Thanks to your help here, I can now make this dish easily. I beloved up to you will obtain performed right here. The sketch is attractive, your authored subject matter stylish. however, you command get bought an shakiness over that you wish be delivering the following. unwell indisputably come more earlier once more since precisely the same just about a lot often inside of case you protect this hike. Thank you for the auspicious writeup. It in reality was once a amusement account it. Glance complicated to more brought agreeable from you! However, how can we keep up a correspondence? Hello very nice website!! Guy .. Beautiful .. Wonderful .. I’ll bookmark your blog and take the feeds alsoKI’m glad to seek out so many helpful information here within the submit, we’d like work out more strategies in this regard, thank you for sharing. . . . . .
They’re very convincing and can certainly work. Still, the posts are very brief for starters. Wow, marvelous blog layout! How long have you been blogging for? you made blogging look easy. The whole glance of your web site is magnificent, as neatly as the content! mqruirgqn,Thanks for sharing this recipe with us!! Some truly nice and useful info on this web site, likewise I believe the design and style has got great features. F*ckin’ amazing issues here. I’m very happy to see your article. Thanks a lot and i am taking a look forward to touch you. Will you please drop me a e-mail? npbepekb,Definitely believe that which you said. Your favourite justification appeared to be on the net the simplest thing to remember of. Just wanna state that this is very useful, Thanks for taking your time to write this. Wonderful site. Plenty of useful info here. I am sending it to several buddies ans additionally sharing in delicious. And obviously, thanks for your effort! A person essentially assist to make critically posts I’d state. That is the first time I frequented your website page and up to now? I surprised with the analysis you made to make this particular post incredible. Magnificent activity! Appreciating the persistence you put into your site and in depth information you present. It’s great to come across a blog every once in a while that isn’t the same old rehashed material. Great read! I’ve bookmarked your site and I’m including your RSS feeds to my Google account. I was examining some of your content on this site and I conceive this internet site is really informative ! Continue putting up. You really make it seem really easy with your presentation but I find this matter to be actually something that I believe I would by no means understand. It sort of feels too complicated and very extensive for me. I am looking forward for your subsequent publish, I will attempt to get the hold of it! In this grand scheme of things you receive an A just for effort and hard work. Where you actually confused everybody was in all the details. As it is said, details make or break the argument.. And that couldn’t be more accurate in this article. Having said that, let me tell you what did work. The article (parts of it) is certainly really engaging which is possibly why I am taking an effort to opine. I do not really make it a regular habit of doing that. Secondly, whilst I can see the jumps in reasoning you come up with, I am not necessarily confident of exactly how you seem to unite your ideas which produce your final result. For the moment I will yield to your point but hope in the foreseeable future you connect the dots much better. I like this blog very much, Its a real nice billet to read and receive information. I went over this website and I conceive you have a lot of great information, saved to bookmarks (:. I really like looking at and I think this website got some truly utilitarian stuff on it! . Some genuinely wonderful information, Gladiolus I noticed this. “Childhood is that wonderful time when all you need to do to lose weight is take a bath.” by Joe Moore. Hello, Neat post. There is a problem along with your site in internet explorer, might test this?K IE nonetheless is the market leader and a big portion of people will miss your magnificent writing due to this problem. Hello my loved one! I wish to say that this article is amazing, nice written and come with almost all significant infos. I would like to see more posts like this . Thanks for the good writeup. It in truth was a entertainment account it. Glance advanced to more introduced agreeable from you! However, how can we be in contact? Magnificent website. Lots of useful info here. I’m sending it to several buddies ans additionally sharing in delicious. And certainly, thank you for your effort! I simply needed to say thanks yet again. I am not sure the things I could possibly have tried in the absence of those points shared by you relating to such a topic. Previously it was a very frustrating difficulty in my view, however , taking note of a new specialized form you handled the issue made me to weep with gladness. Now i’m happy for this advice and in addition pray you know what a great job you’re providing educating some other people via a web site. I know that you haven’t got to know any of us. I would like to thnkx for the efforts you’ve put in writing this site. I am hoping the same high-grade web site post from you in the upcoming as well. Actually your creative writing skills has encouraged me to get my own website now. Really the blogging is spreading its wings fast. Your write up is a good example of it. Youre so cool! I dont suppose Ive learn anything like this before. So nice to search out any person with some original ideas on this subject. realy thank you for starting this up. this web site is something that’s wanted on the web, someone with a little bit originality. helpful job for bringing something new to the internet! I’ve been browsing on-line more than three hours today, yet I never discovered any fascinating article like yours. It¦s lovely worth sufficient for me. In my view, if all website owners and bloggers made just right content material as you did, the net might be a lot more helpful than ever before. I am really enjoying the theme/design of your site. Do you ever run into any web browser compatibility problems? A few of my blog visitors have complained about my blog not operating correctly in Explorer but looks great in Safari. Do you have any advice to help fix this issue? I have been exploring for a bit for any high quality articles or blog posts in this sort of space . Exploring in Yahoo I at last stumbled upon this web site. Reading this info So i’m satisfied to exhibit that I’ve an incredibly just right uncanny feeling I came upon just what I needed. I so much unquestionably will make sure to do not disregard this website and provides it a look regularly. obviously like your website however you have to test the spelling on quite a few of your posts. Many of them are rife with spelling issues and I in finding it very bothersome to inform the truth however I will definitely come back again. Can I just say what a aid to seek out someone who actually is aware of what theyre talking about on the internet. You undoubtedly know easy methods to bring an issue to mild and make it important. Extra people must read this and perceive this aspect of the story. I cant consider youre no more standard because you positively have the gift. Nice read, I just passed this onto a friend who was doing a little research on that. And he just bought me lunch because I found it for him smile Therefore let me rephrase that: Thanks for lunch! “One who’s our friend is fond of us one who’s fond of us isn’t necessarily our friend.” by Geoffrey F. Albert. hey there and thank you for your information – I’ve definitely picked up anything new from right here. I did however expertise some technical issues using this site, since I experienced to reload the website lots of times previous to I could get it to load properly. I had been wondering if your hosting is OK? Not that I’m complaining, but sluggish loading instances times will very frequently affect your placement in google and could damage your high quality score if ads and marketing with Adwords. Anyway I am adding this RSS to my email and could look out for much more of your respective exciting content. Ensure that you update this again very soon.. I really enjoy reading through on this site, it has got excellent blog posts. “It is easy to be nice, even to an enemy – from lack of character.” by Dag Hammarskjld. I¦ve been exploring for a bit for any high-quality articles or blog posts in this sort of house . Exploring in Yahoo I finally stumbled upon this website. Reading this information So i¦m satisfied to express that I’ve an incredibly excellent uncanny feeling I discovered exactly what I needed. I so much surely will make certain to do not fail to remember this website and give it a glance regularly. Great – I should certainly pronounce, impressed with your web site. I had no trouble navigating through all tabs as well as related info ended up being truly simple to do to access. I recently found what I hoped for before you know it at all. Reasonably unusual. Is likely to appreciate it for those who add forums or anything, web site theme . a tones way for your customer to communicate. Excellent task.. I do like the way you have presented this particular problem plus it does offer us a lot of fodder for consideration. However, because of what precisely I have seen, I just hope when other feed-back pile on that men and women keep on point and don’t start upon a tirade associated with the news of the day. Anyway, thank you for this fantastic piece and though I do not really agree with it in totality, I regard your perspective. Excellent web site. A lot of useful information here. I’m sending it to several buddies ans additionally sharing in delicious. And obviously, thanks on your sweat! I’ve been surfing online more than three hours these days, but I by no means discovered any fascinating article like yours. It is pretty value enough for me. In my view, if all web owners and bloggers made excellent content material as you did, the web will probably be much more useful than ever before. Hello There. I discovered your blog the use of msn. That is an extremely smartly written article. I’ll be sure to bookmark it and return to read more of your helpful info. Thank you for the post. I will definitely comeback. Wonderful website. Lots of useful info here. I am sending it to some friends ans also sharing in delicious. And naturally, thank you in your effort! Hey there would you mind stating which blog platform you’re working with? I’m looking to start my own blog soon but I’m having a difficult time deciding between BlogEngine/Wordpress/B2evolution and Drupal. The reason I ask is because your design and style seems different then most blogs and I’m looking for something completely unique. P.S Apologies for being off-topic but I had to ask! As I website possessor I believe the content material here is rattling great, regards for your efforts. Hi there, i read your blog from time to time and i own a similar one and i was just curious if you get a lot of spam remarks? If so how do you protect against it, any plugin or anything you can recommend? I get so much lately it’s driving me insane so any assistance is very much appreciated. Heya i am for the first time here. I came across this board and I find It really helpful & it helped me out much. I’m hoping to give something back and aid others such as you aided me. My brother suggested I would possibly like this blog. He was once totally right. This submit truly made my day. You cann’t consider simply how a lot time I had spent for this information! Thank you! Hey very cool website!! Guy .. Beautiful .. Superb .. I’ll bookmark your web site and take the feeds also…I am happy to seek out a lot of useful info right here within the submit, we need work out extra strategies on this regard, thank you for sharing. . . . . .
A person essentially help to make significantly posts I would state. That is the very first time I frequented your web page and so far? I amazed with the analysis you made to make this particular post incredible. Fantastic task! I am not sure the place you are getting your information, however great topic. I needs to spend some time studying much more or working out more. Thank you for excellent info I was looking for this info for my mission. you are really a good webmaster. The web site loading speed is incredible. It seems that you are doing any unique trick. Moreover, The contents are masterpiece. you’ve done a wonderful job on this topic! Heya i am for the first time here. I came across this board and I to find It really useful & it helped me out much. I’m hoping to give one thing again and aid others such as you helped me. I precisely desired to thank you very much once more. I am not sure what I would have taken care of without those basics provided by you over my field. It became a real horrifying matter in my opinion, but taking note of the skilled way you dealt with it took me to jump with fulfillment. I’m just happy for the support as well as pray you recognize what an amazing job you were accomplishing educating many people all through your blog. Most probably you’ve never come across any of us. What i do not understood is in fact how you’re no longer really much more neatly-preferred than you may be right now. You’re very intelligent. You already know thus considerably in the case of this subject, made me in my opinion believe it from a lot of numerous angles. Its like women and men don’t seem to be interested unless it is one thing to accomplish with Lady gaga! Your personal stuffs excellent. All the time take care of it up! on Television, so I simply use the web for that purpose, and obtain the most recent information. Hello, Neat post. There’s an issue along with your site in web explorer, could test this?K IE nonetheless is the market chief and a big portion of folks will pass over your magnificent writing due to this problem. As I website owner I think the content material here is really good, regards for your efforts. enqlz1 I think this is a real great article post.Thanks Again. Really Great. Admiring the hard work you put into your site and in depth information you present. It’s great to come across a blog every once in a while that isn’t the same outdated rehashed material. Excellent read! I’ve bookmarked your site and I’m including your RSS feeds to my Google account. Hey there, You’ve performed an excellent job. I will definitely digg it and in my opinion recommend to my friends. I’m confident they’ll be benefited from this website. I’d forever want to be update on new posts on this website , saved to favorites! . Excellent goods from you, man. I have understand your stuff prior to and you are just too great. I actually like what you have got here, really like what you’re saying and the way during which you say it. You are making it enjoyable and you continue to take care of to stay it smart. I cant wait to read far more from you. This is actually a terrific web site. Good post. I learn something more challenging on different blogs everyday. It will at all times be stimulating to read content material from different writers and practice somewhat one thing from their store. I’d choose to make use of some with the content material on my blog whether or not you don’t mind. Natually I’ll give you a link in your web blog. Thanks for sharing. As I website owner I conceive the articles here is real fantastic, appreciate it for your efforts. Everyone loves what you guys are up too. This kind of clever work and exposure! Keep up the good works guys I’ve included you guys to my personal blogroll. My brother suggested I would possibly like this web site. He was entirely right. This put up actually made my day. You can not believe simply how a lot time I had spent for this information! Thank you! It is the best time to make a few plans for the longer term and it’s time to be happy. I’ve read this put up and if I may just I desire to recommend you some attention-grabbing issues or advice. Maybe you can write subsequent articles referring to this article. I desire to read more things about it! Some genuinely wonderful content on this web site, thank you for contribution. “A conservative is a man who sits and thinks, mostly sits.” by Woodrow Wilson.